He poises himself on the brink of the black boundary that blocks him from stepping any closer as he holds the orange ember in his hands and slowly lets it drop to the ground and bounce back into his grip. The eyes of onlookers sear into his sides as he releases the cinder into the humid air– praying it turns fireball and burns through the net, he hears the echo of the flame as it hits, and teeters on the edge, along with him. Kasim nominated me to do the no ‘e’ challenge, but turn it into a story. This isn’t really a complete story, but it’s something haha. 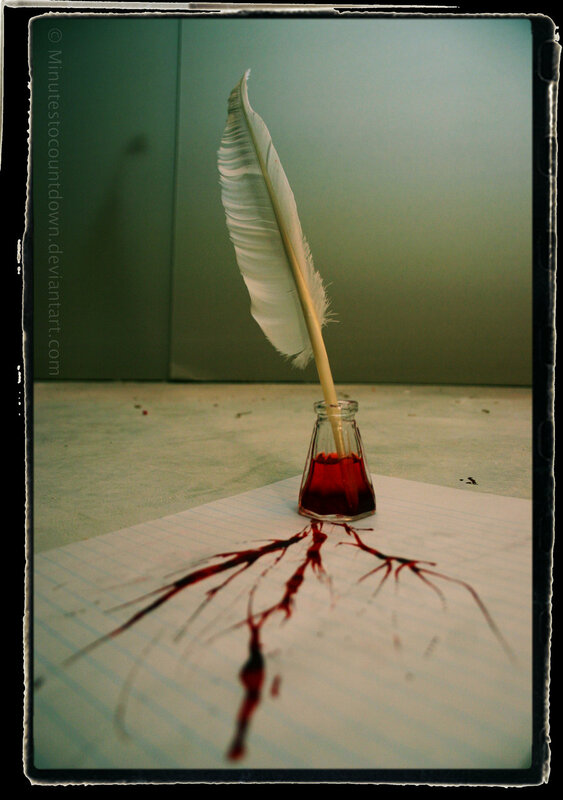 Ink has a way of spilling into your blood and vanquishing your familiar body. Taking what you know and transforming it into an unfamiliar ghost of what was. That’s why I am what I am. My lungs gasp for words as my mind thirsts for a story. As I’m imagining what could occur, I am portraying my world as I know it- not as it truly is. So many things block my path- and I can’t find ways to pass by. But my own thought is usually my road block. This block that’s contaminating my mind and soul. I lay down rocks in front of my path that I cannot climb, and as soon as I try, I fall. I fall into oblivion without anything to land on. My surroundings diminish as my mind dissipates into nothing. Some days, you just feel it. You feel your whole life slipping away. It doesn’t flash by, it doesn’t instantaneously vanish. It slowly dissolves like paper in water. Your entire story is written on that piece of paper, yet a strong downpour is beginning. That day was today. I felt the flood deepening. I felt the threat of the end. But what can I do? Wait it out? No. Fight through it? I have no choice. It was coming. I don’t know who -or what- it was. But it was coming. I braced and I contested. 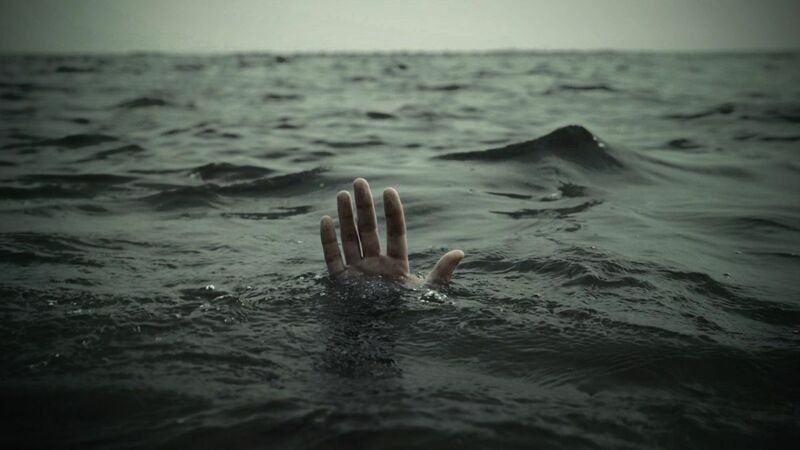 But finally, I drowned. I must have been out for awhile. When I woke up, I forgot where I was. I slowly sat up and propped myself up on my elbows. My head ached and my feet were numb from the cold. I couldn’t see anything. “Hey.” A voice echoed through the room. It took me a second to process what she was talking about, then I handed my mother the key that I received with the note. We got up and headed back into the hallway. She lead me into another room where my brother sat, holding a journal. He looked up at me and smiled. “Stay with your brother. He can help you.” She closed the door and left me in the dark once again. “Saved mom? What- what are you reading anyway?” I snatched the book out of his hand and as my eyes fell onto the page, my heart fell into the floor. He rounded the same corner my mother vanished into. Deja vu overcame me and it sent an unnerving feeling down my spine as he stepped into the room. “Alicia, your mother cannot tell you why you are here, or why she is here. But she does have a story, and it’s time for you all to listen.” His deep voice cracked and his big, empty, light blue eyes remained steady on me as he spoke. He stood, studying the room, keeping one hand in the pocket of his hoodie and running the other through his long, black hair. My cousin, Jolie, adjusted in her seat, probably trying to release her pent up nerves. As soon as he heard her shuffle, he turned to her and warned, “stay seated. It’s not time yet.” He finally pulled his right hand out of his pocket to check the time on his watch. What he had left of his fingers were mangled and twisted and his fingernails were brown and crusted. Realizing what he had done, he quickly hid it back into in the confines of his hoodie as he slowly paced out of the room. I glanced over to my younger brother, Toby, who looked… excited? Like he was about to walk down the steps on Christmas morning and find a corvette sitting under the tree. He was 16 after all, and he was sitting there, smiling, like a clueless child. We caught eyes and I asked why he was wearing that face. There it was again, that strange noise that sliced through my stomach. That loud shrill. It didn’t sound like any human I had ever heard. Could it have been some kind of a machine? Or animal? I don’t know what that noise was, but it was daunting and taunting me to find out. I looked back at Toby and asked him what he was saying and he refused to speak or make eye contact with me again. What does he know that I don’t? I suddenly stood up from my chair, as my family looks over at me, silent. What is wrong with them? I stand by the hallway and look back at my family. “I guess I’m doing this alone then.” I swallowed and took a step into the narrow space. After about five steps, I felt a strong grasp on my shoulder yank me into a dark room, I banged my head on something and collapsed into the floor. What was she doing here? What was I doing here? Why has she been lying to me? Why has she been hiding? Who or what caused this? Questions rained down and flooded my mind. I was drowning in my insecurity and confusion. She lowered her head as her eyes slowly shut. She swallowed, tightened her lips until they were nothing but a white crease, and shifted her gaze onto me with a look on her face as if she just tasted the bitterness of black coffee for the first time. She lifted herself out of her chair and walked past me, brushing her hand along my shoulder. My family and I watched her as she exited out of the room. We looked at one another, probably all thinking the same thing, why are none of us going after her? But there was something strange about this place. Something unwelcoming but we were drawn to it. I know we all felt it, we couldn’t leave but we didn’t want to stay. My father, sitting on the other side of the semi-circle looked at me and smiled, like he always has during trying times. Why does he seem to have no emotion? His wife, the love of his life, is alive! Shouldn’t he be happy? Maybe he knows something. But why would he hide it from me? We’ve been so close ever since my mom’s “death,”what would he ever have to lie to me about? As more and more questions filed in, I became more and more uneasy. Nausea over came me and I had to do everything I could to hold myself together. I felt like I was melting, like there was nothing holding me together, my solidity was dissolving and answers were my only solvent. “Because of me..” A voice so familiar, but so distant whispered behind me. As I turned around, my confusion was no longer only a down pour, it became a hurricane. Usually, after receiving a letter like I did, one would be comforted to walk into a room full of family members and to be greeted by their mother. However, my mom has been dead for seven years. Or so I believed. Hesitantly, I headed to the huddle of my household, breathing heavily. I could feel my heartbeat in my throat. As I sat down on the cold, metal chair, I suddenly realized just how cold it actually was. I could see my breath each time my lungs decided to release some air and my fingers were beginning to turn a pale purple and were becoming increasingly more difficult to move. I looked up at my mother, who’s solemn stare felt more and more discomforting the longer I looked. She gave me a quick grin, took a deep breath, clasped her hands together, and began to speak. For the first several words, I couldn’t concentrate on her voice. I could only observe her. Watch how she smiled as she spoke, how she gave such attentive and meaningful eye contact with each of us, and how animated she became, as if she was telling a story to a room full of five year olds. But maybe that’s how she thought of us – A group of grown up kindergartners, falling for every fable she threw our way. Finally after zoning back into reality, it took me a few moments to realize what she was talking about. The moment I heard my name, my thoughts ran rampant through my mind and were once again lost in a jungle of confusion.